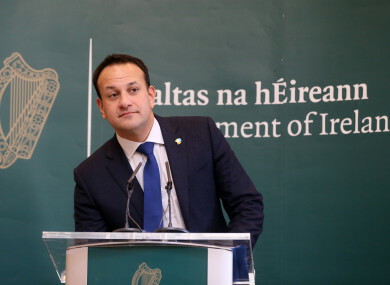 IN THEORY, THERE shouldn’t be a general election this year after Fianna Fáil agreed an extension to the confidence and supply deal late last year with the minority Fine Gael government. Politics in practice, however, can be quite different. With the looming threat of Brexit cited as the reason why we need to have stability and a government in place, it currently doesn’t appear like there’ll be an election anytime soon. But if a week is a long time in politics, who knows what will change over the course of the year? With that in mind, do you think there’ll be a general election this year? Email “Poll: Do you think there'll be a general election this year?”. Feedback on “Poll: Do you think there'll be a general election this year?”.